Congratulations to the Winter 2018-19 NSAA Academic All-State recipients, back row (from left): Noah Polacek, Gavin Pokorny, Trey Scheef, Thomas Waido. front row: Elle Glock, and Kendal Brigham. The Nebraska School Activities Association ( NSAA ) is pleased to announce the student recipients of the Winter 2018-19 Nebraska Chiropractic Physicians Association (NCPA) Academic All-State Awards . 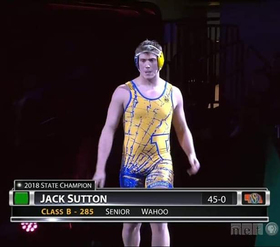 Since 2006 this NSAA Award Program has recognized students who meet the criteria for nomination by their school in the season of their activity. Nominated students must be varsity players or organizational leaders who have played a significant role on the team. Nominees must have a minimum cumulative grade point average, in all curricular subjects, of 93%, or 3.7 on a 4.0-point scale. Each year the NSAA and the NCPA recognize students during Fall, Winter and Spring . 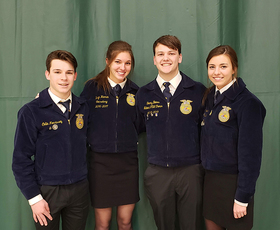 . .
Congratulations WHS juniors (from left) Grace Wirka, Nate Fox, Logan Brabec, and Kendal Brigham: named 2019 Pinnacle Bank/Midland University Outstanding Leaders! In a luncheon on Friday, March 29, Pinnacle Bank and Midland University honored select Nebraska high school juniors for their accomplishments in the classroom and in their communities with the 2019 Pinnacle Bank Outstanding High School Leaders Award. Among those honored were four of Wahoo's own! WHS juniors Logan Brabec, Kendal Brigham, Nate Fox, and Grace Wirka were selected for this award! Each was nominated for this honor by a WHS staff member or administrator, because of their leadership abilities and achievement. Once nominated, students completed an application and composed an essay explaining his/her view of leadership. In addition, staff members submitted . . .
Congratulations to the following Wahoo Middle School students for making the High Honor Roll and Honor Roll during 2018-2019: THIRD QUARTER High Honor Roll (3.92-4.0 GPA): 8th Grade: Zoe Abramo, Maci Foxworthy, Garrett Grandgenett, Harper Hancock, Owen Hancock, Autumn Iversen, Ella Lacey, Megan Robinson, Logan Scott, Landon Spicka, Megan Steele, Samantha Sudik 7th Grade: Kyle Babst, Kassidy Beavers, Trevor Beavers, Michael Carranza, Kade Cook, Josh Edmonds, Sam Edmonds, Marcus Glock, Gabe Harris, Eli Hauswald, Hannah Herrera, Lanta Hitz, Ava Lausterer, Barrett Lavaley, Jase Maly, Derek . . . Early Season Update The Warrior Golf season has gotten off to a rough start. While the Warriors have made improvements from last year, the early season weather has made it difficult to show just how far we've come. 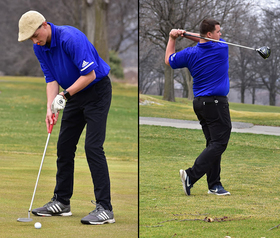 Despite the rough weather, several Warrior Golfers are off to a quality start. Returning letter winner and senior co-captain Chase Aldrich has played well to date, but is looking for continued improvement as we move towards the middle of the season. Senior co-captain Braedenn Olson has had a great start to the year and has shown a lot of improvement . . .
Shannon Hauswald , Coordinator shauswald@wahoowarriors.org (402) 443-4332 ext. 3227 "Tell me and I'll forget. Show me and I may remember. Involve me and I'll understand." --Chinese Proverb PROGRAM OVERVIEW The Career Exploration Opportunities (CEOs) program assists Wahoo High School students with understanding the linkages between school and work. Through CEOs, students explore and discover their passions, confidence, and skills through a worksite experience in a career cluster of interest. Students are given the opportunity . 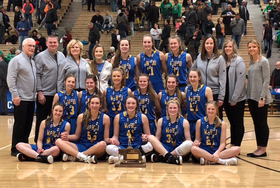 . .
Warrior Girls Basketball captures 3rd place @ State! 2018-2019 SCHEDULE (Home games are in BOLD CAPS ) Date Opponent Score November 29, 2018 @ Bennington W (45-43) November 30, 2018 AURORA W (53-18) December 4, 2018 @ Ashland-Greenwood W (62-20) December 7, 2018 @ Wayne W (72-21) December 11, 2018 . . .
FFA Motto: Learning to Do, Doing to Learn, Earning to Live, Living to Serve FFA Mission: The National FFA Organization is dedicated to making a positive difference in the lives of students by developing their potential for premier leadership, personal growth, and career success through agricultural education. What is FFA? FFA is an organization that promotes growth in leadership skills, as well as agricultural education. Wahoo and Bishop Neumann have been co-oping since 2017. Students from Wahoo travel to Bishop Neumann either 1st or 8th period to take various . 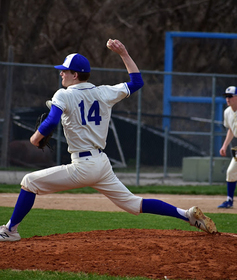 . .
Warrior Baseball posts big victory @ Bennington! 2019 VARSITY SCHEDULE: (Home games are in BOLD CAPS ) Click HERE to access the travel schedule with departure times. 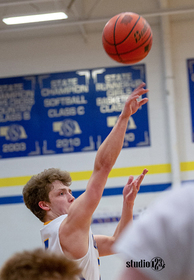 Date Opponent Score March 15, 2019 Mount Michael CANCELLED March 18, 2019 Beatrice W (10-6) March 21, 2019 Seward CANCELLED March 22, 2019 WAYNE W (2-1) . 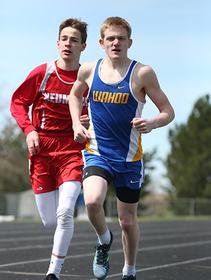 . .
HANDBOOK Click HERE to view the 2019 Wahoo Track Student Athlete Handbook. CALENDAR Click HERE to view the 2019 Wahoo Track Practice Calendar. SEASON SCHEDULE Click HERE to view the 2019 Warrior Track Meet Schedule (includes dismissal & departure times). Date Event Results March 14, 2019 Concordia Invite Cancelled March 25, 2019 David City Quad . 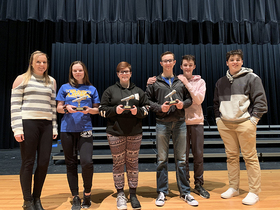 . .
WHS sophomore Sam DuBois used strong recitations of the poems “ A Poison Tree ” by William Blake, and “ Common Dust ” by Georgia Douglas Johnson, to win the 2019 WHS Poetry Out Loud Championship! The school competition was held on Thursday, Feb. 7 in the Performance-Learning Center. DuBois will now compete at the State Finals on Sunday, March 10 at 1:30 p.m. at the Sheldon Art Gallery in Lincoln. The winner of the state competition will win a trip to Washington, D.C. for the national finals on April 30, where over $50,000 dollars in scholarship money . . .
Wahoo High School Yearbooks on sale now! It’s easier than ever to buy a Wahoo High School yearbook! Parents and students who want a keepsake to remember the memories of the 2018-19 school year can buy the 2019 Thunderbird online. 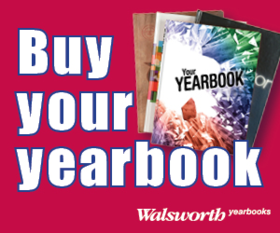 To buy the yearbook online, go to yearbookforever.com , and enter “Wahoo High School.” You’ll then be directed to the WHS store to purchase your yearbook with a credit card. Yearbooks purchased online are $45 plus a small service charge. 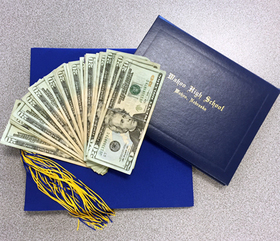 If you’d like to pay with either cash or a check, yearbooks are $45 and can be purchased from Yearbook Adviser John . . .
All the way from Vanderbilt University in Nashville, Tennessee to just next door at Midland University in Fremont, Wahoo High School alumni are making themselves heard in concert halls and stadiums across the nation! Currently Wahoo has at least 20 alumni involved in college music groups across the United States. These students perform in college pep bands, marching bands, jazz bands, show choirs, wind ensembles, and many other music groups. For the past several years, Wahoo has had a few individuals in college ensembles, but, as of recently, we have . 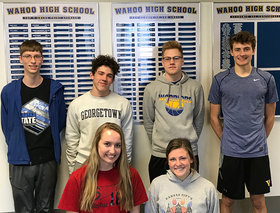 . .
Warrior Academic Decathlon: 2019 State Qualifiers! 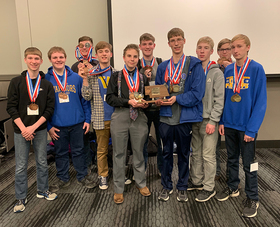 The Warrior Academic Decathlon team ended its 2018-2019 season at the State Competition, held Feb. 15-16 at the University of Nebraska at Omaha. Despite missing one team member due to illness, Wahoo made an impressive showing, bringing home the 3rd place team trophy, along with 19 individual medals! Congratulations to the following 2019 State AcaDeca Medalists: NOAH POLACEK (Wahoo's all-time top achiever!) GOLD in Music GOLD in Science GOLD in Language & Literature GOLD in Mathematics SILVER in Art SILVER in Economics SILVER in Essay . . .
2018-2019 Varsity Wrestling Schedule (Home competitions in BOLD ) 11/29/2018 FORT CALHOUN (Home Triangular) W (70-6) 11/29/2018 ASHLAND-GREENWOOD (Home Triangular) W (60-0) 12/01/2018 Bennington Invitational 3rd place 12/07-08/2018 Boys Town Invitational 3rd place 12/11/2018 West Point-Beemer (Blair Triangular) . . .
2018-2019 SCHEDULE: (Home games are in BOLD CAPS ) Date Opponent Score November 29, 2018 @ Bennington L (54-69) November 30, 2018 AURORA L (74-76 OT) December 7, 2018 @ Wayne W (72-64) December 8, 2018 @ Logan View/Scribner-Snyder W (70-32) December 14, 2018 . . .
(This page was last updated on April 16, 2019) Financial Aid Presentation - EducationQuest Again this year, Wahoo High School hosted a financial aid presentation sponsored by EducationQuest on October 9. This presentation highlighted how to create an FSA ID , which is used to confirm your identity when accessing your financial aid information and electronically signing your federal student aid documents. Click HERE for a reminder of things needed to create that FSA ID . In addition, our EducationQuest representative discussed the FAFSA , which is . . . The Wahoo High School summer school program is available for students who have failed classes and would like to make up the credit lost. Students who are interested need to fill out the form below and return it, along with a $25 deposit, to the Wahoo High School office. The full amount must be paid before the start of the sessions. 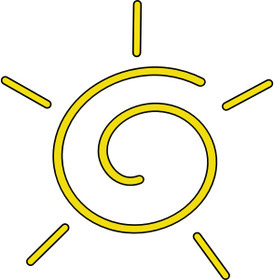 The method of instruction will be through a digital online curriculum called OdysseyWare . Students will be able to work at their own pace. We will run one session from 8:00 a.m.-12:00 p.m., Monday through Thursday, with 24 computers available. . . . NOTE: If you have any questions or would like to enroll in the Career Academy program, please contact WHS Guidance Counselor John Harris (443-4332 ext. 3229). Career Academy is a partnership program with Southeast Community College and high schools in the same area. 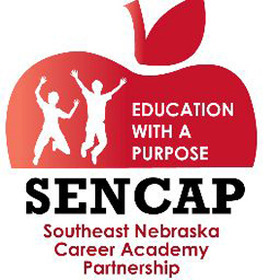 The Southeast Nebraska Career Academy Partnership (SENCAP) program provides students with more opportunities to learn about careers and to earn college credit while still in high school. Opportunities provided by SENCAP include: reimbursed college tuition; career training; networking with . 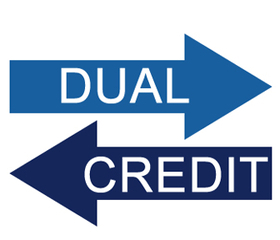 . .
Current onsite and distance learning dual-credit (both high school and college) course offerings for the Fall 2019 semester are listed at the bottom on this page. These classes will be held in WHS classrooms and the WHS Learning Lab. If you see a course(s) you would like to take next semester, simply click on the WHS Dual Credit/SENCAP Career Academy Request Form link posted at the bottom of this page. Print the form, fill it out, and return it to Mr. Privett , Mr. Harris , or the high school office by Friday, April 5, 2019 . Printed forms will also be available in . 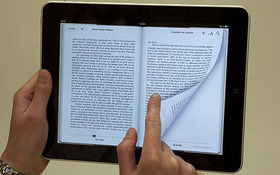 . .
E-BOOK COLLECTIONS ELEMENTARY || MIDDLE/HIGH THE APP Mac || Android All eBooks in these collections can be read on your computer's Internet browser, or your iOS, Windows, Android, and other electronic devices. To read eBooks on your school iPads or other personal devices, you must download the axis360 app (free from the App Store, Android Market, Google Play, etc.). Once downloaded, simply click on "Search for My Library" and type "Wahoo." Then click . . .
ACT: Click HERE to view the 2018-2019 ACT Registration Deadlines & Test Dates. SAT: Click HERE to view the 2018-2019 SAT Registration Deadlines & Test Dates. ACT/SAT RESOURCES: Click HERE to view ACT Resources for Students and Families , ©2015 by ACT. Click HERE to view a listing of ACT & SAT Resources, compiled by the EducationQuest Foundation . 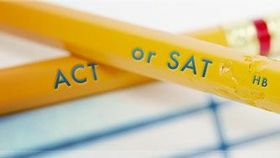 Wahoo High School's ACT Code Number: When a students register for the ACT, they will have to submit a code for their high school, and . . .